A huge new orbital telescope – with 10 times the power of Hubble – could allow us to find life on habitable planets in deep space. The ambitious project is to be launched within the next 15 years, NASA experts say. The new orbital telescope would outsize the Hubble Telescope’s successor, the James Webb Space Telescope (JWST), known as one of the largest space telescopes ever designed. But the next one may be twice as big, developed for an ambitious mission – finding extraterrestrial life and also answering the question of how the universe evolved. As Batalha explained, 30 parsecs (nearly 100 light years), is the radial distance to survey several dozen Earth-sized planets with possible life-supporting habitats that surround sun-like stars. Putting an 8- to 12-meter (26- to 40-foot) telescope into space would be a tremendous endeavor. For instance, the James Webb Space Telescope – an $8.7-billion, tennis-court sized device that will allow astronomers to see the universe with unprecedented resolution and sensitivity – has a 6.5-meter (21-foot) primary mirror. 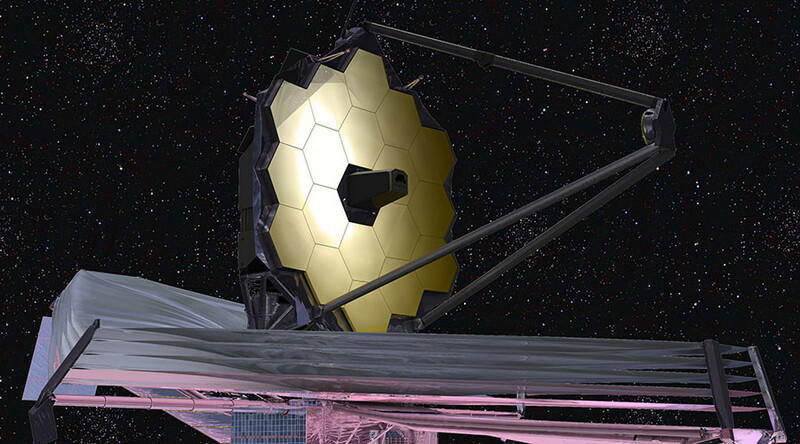 JWST is compared to the beast of a stargazer astronomers want to build in the 2030s. But searching for life is not the huge JSWT successor’s sole task. It will also help scientists learn how the building blocks of matter evolved over cosmic time, probing an even more fundamental question about where life in the universe comes from. By launching such a big telescope astronomers believe they would finally be able to see the smaller planets instead of (basically) using context clues to figure them out, as they do now.